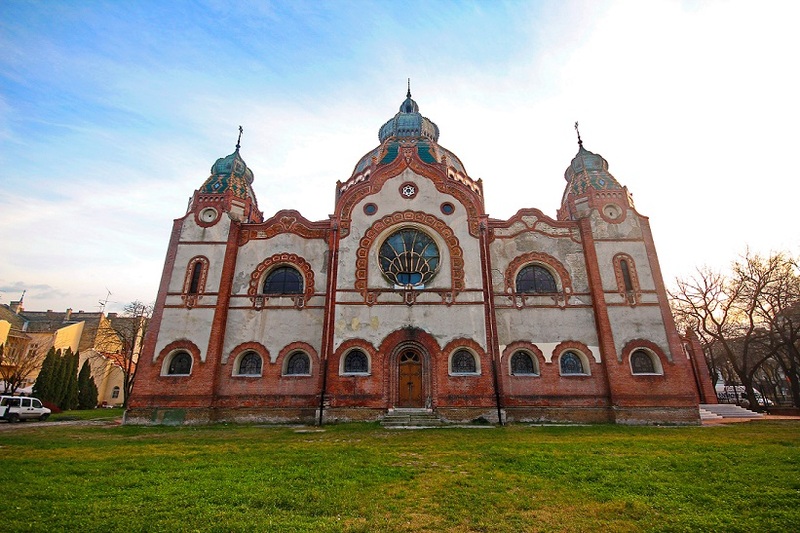 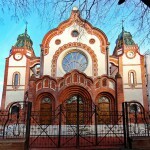 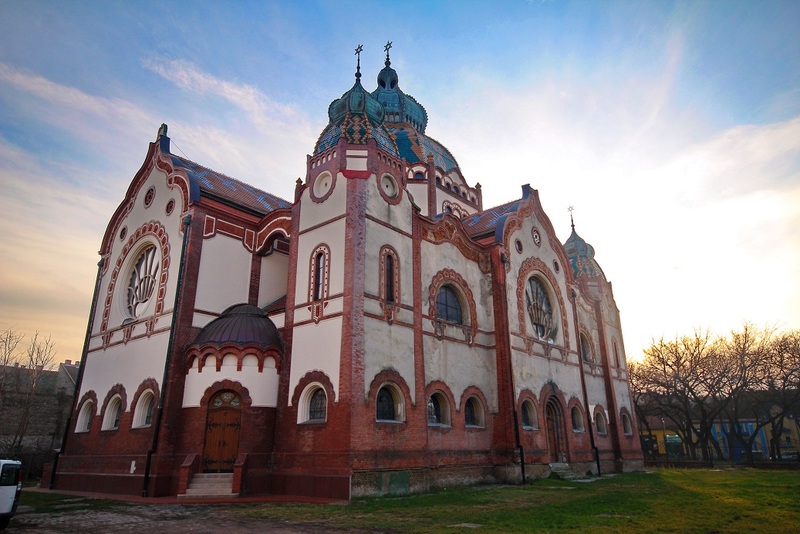 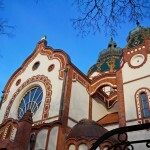 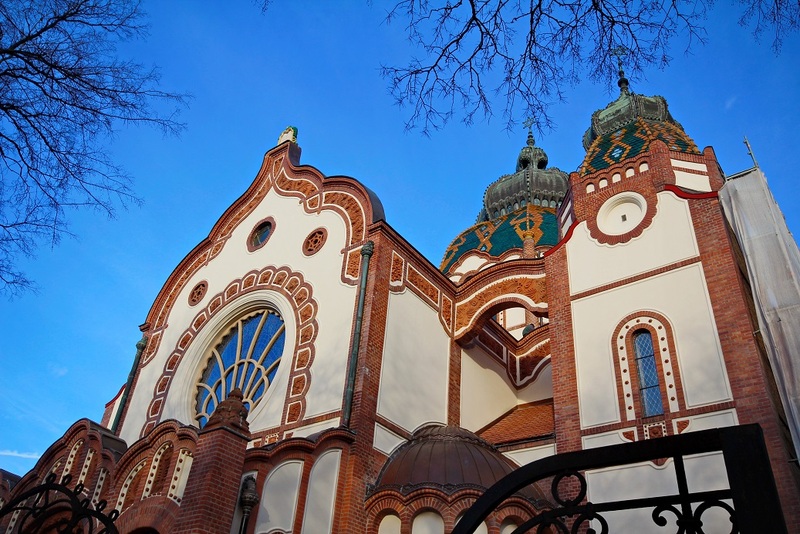 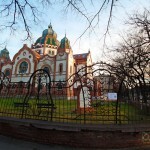 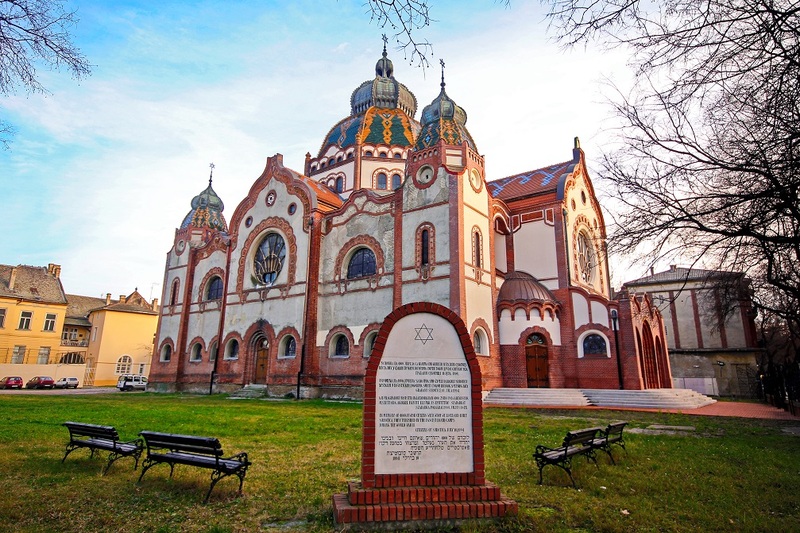 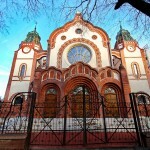 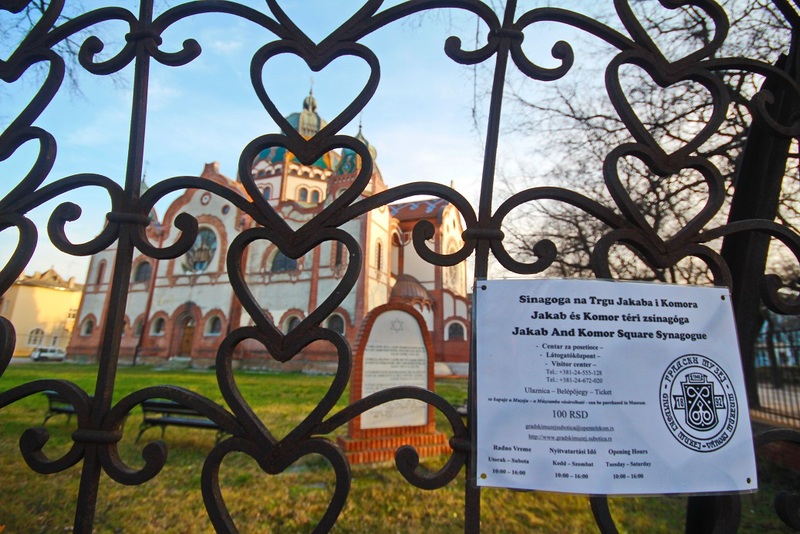 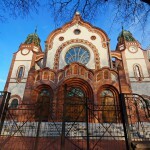 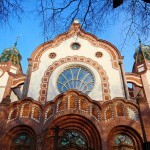 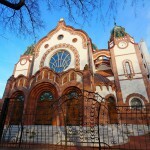 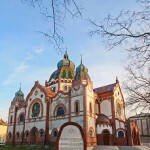 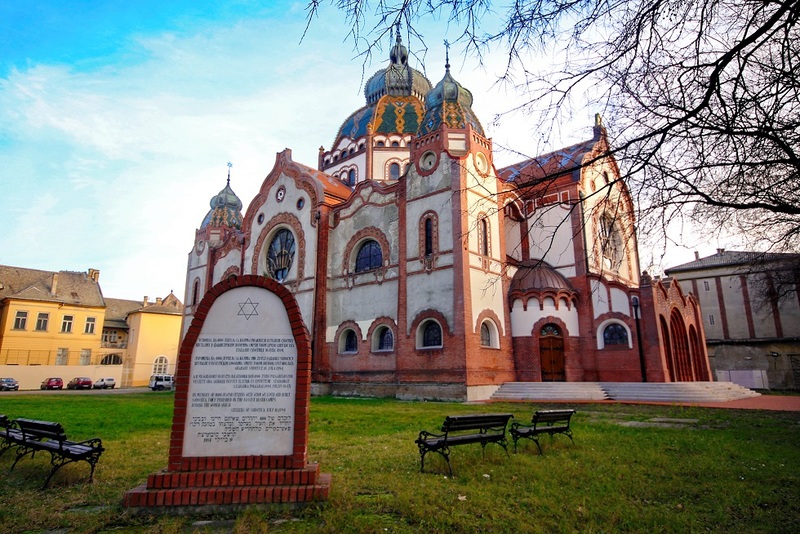 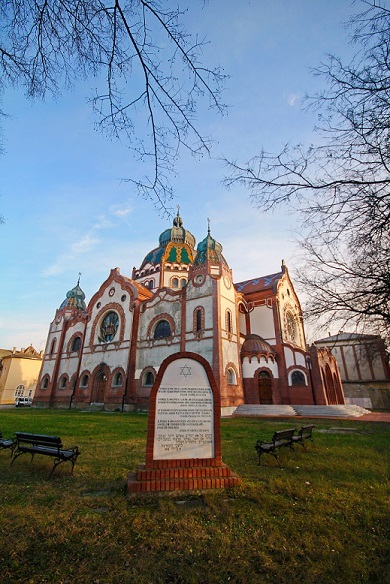 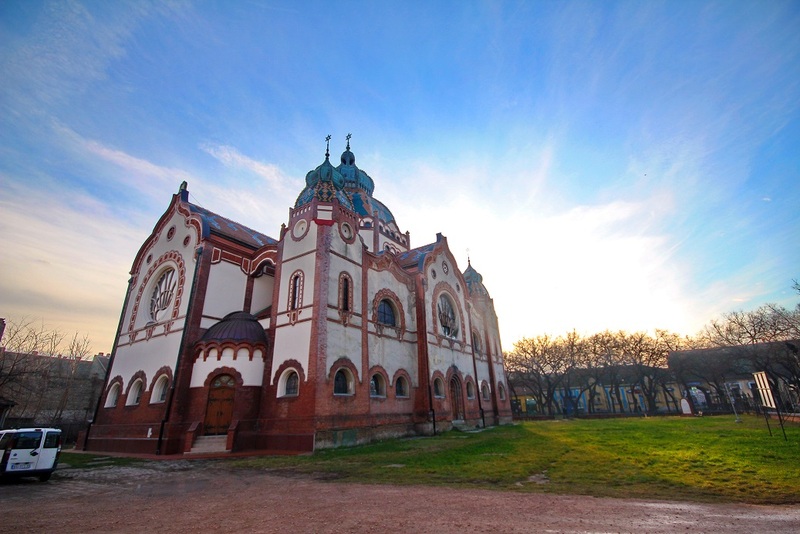 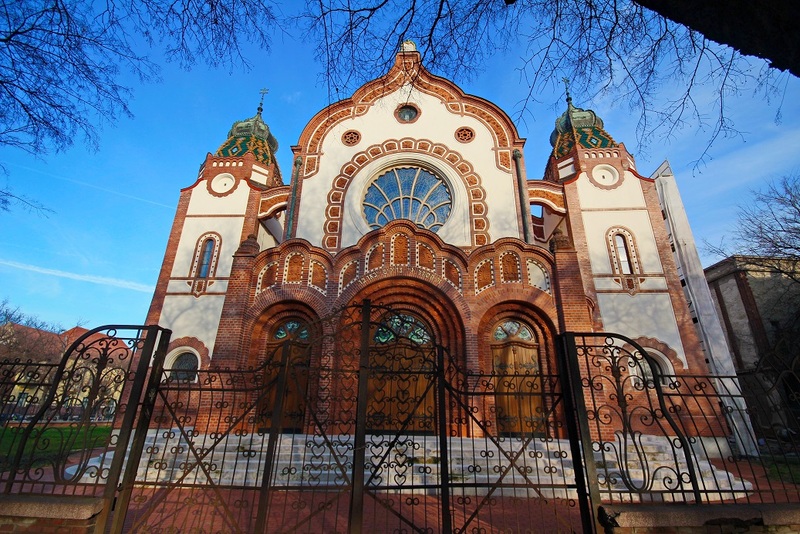 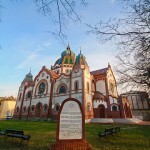 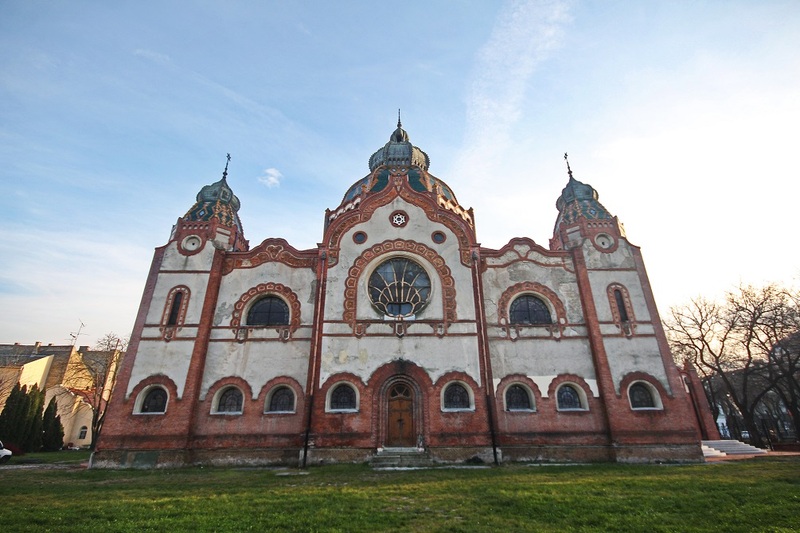 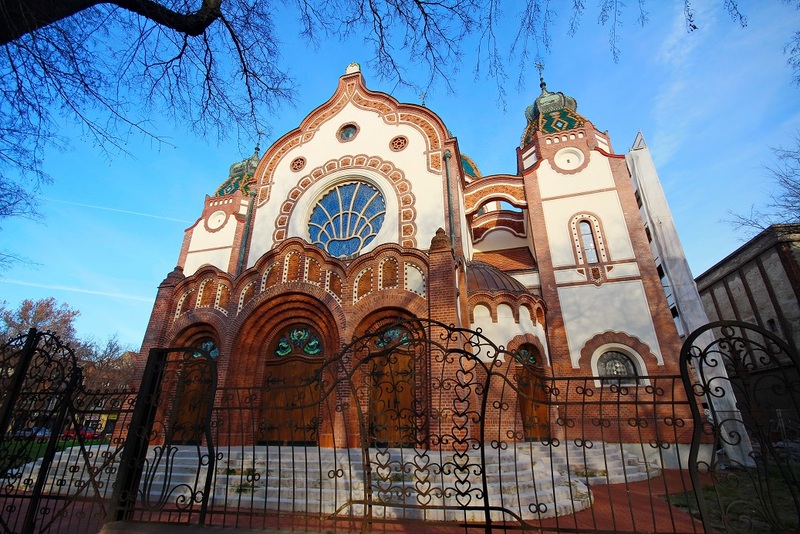 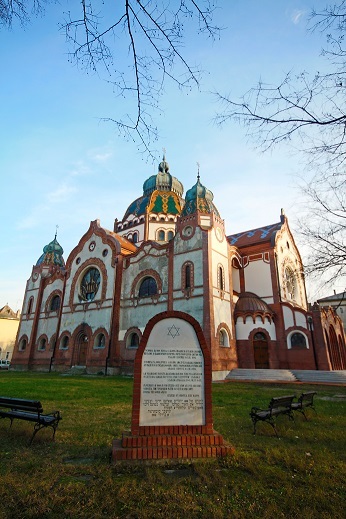 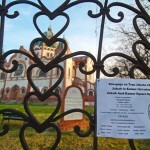 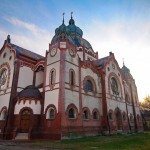 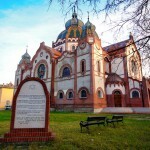 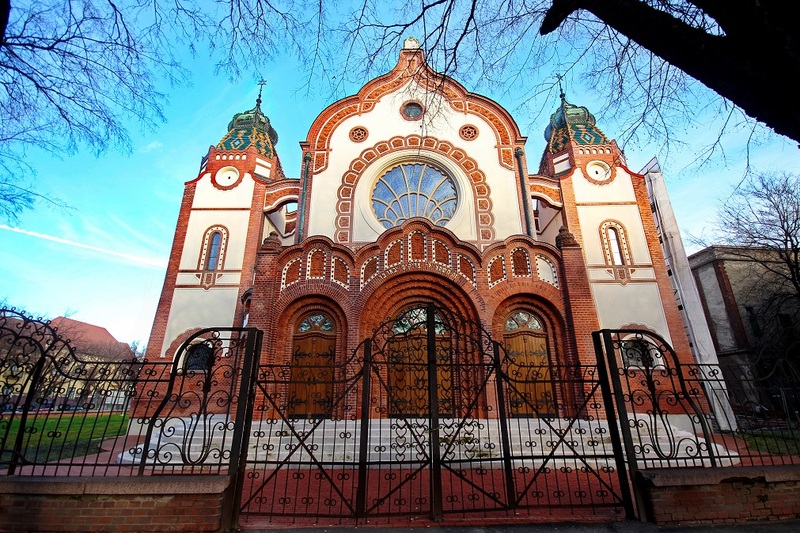 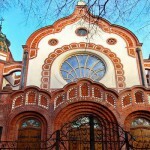 Subotica Synagogue was built in 1902 in Art Nouveau style. 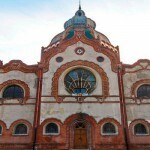 The synagogue was in 1974 declared a cultural monument of exceptional importance. 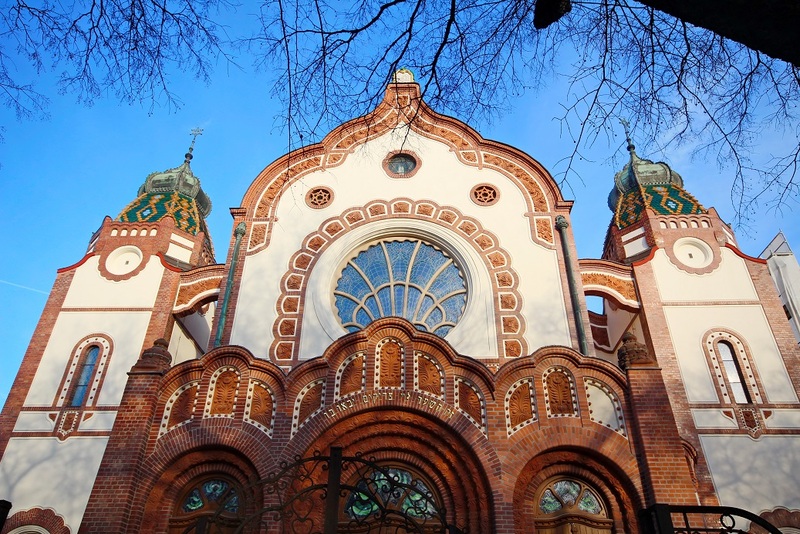 It was built by the project of Budapest architects Marcell Komor and Dezso Jakab, associate architect Ödön Lechner, the creator of the Hungarian Secession. 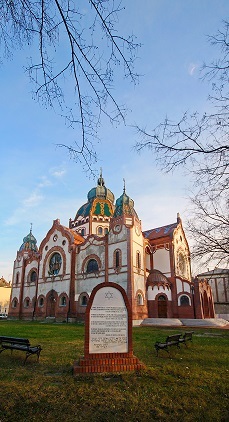 The synagogue is one of the most valuable achievements of this Central European kinds of religious architecture. 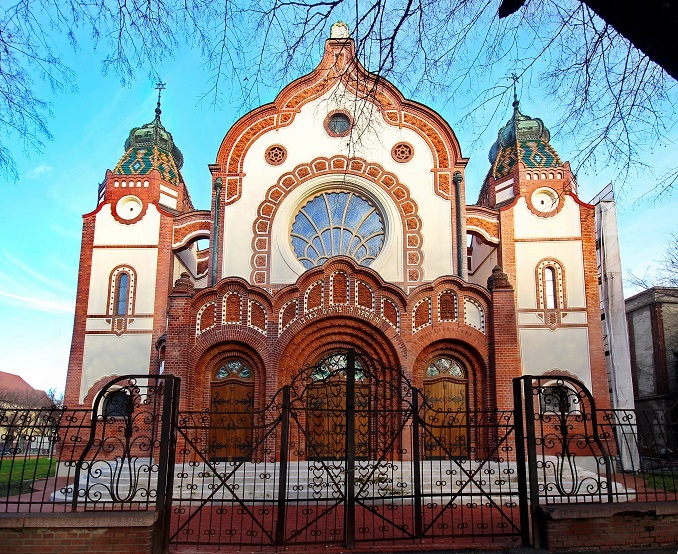 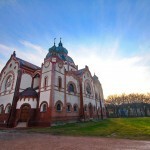 It is characterized by bold and modern architectural designs, stained glass ornaments and stylization taken from Hungarian folklore, such as the stylized petals of roses, lilies and carnations and peacock feathers. 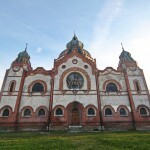 In the four smaller domes, symbolizing the four corners of the world, rests a large central dome, symbolizing the universe. 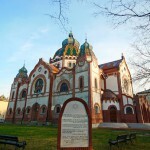 The dome over the central part is enriched with constructive innovation, so it rests on the iron structure, which is carried by eight iron pillars. 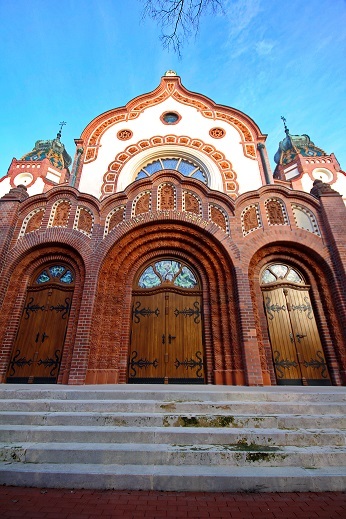 Three entrance doors leading into the narthex, above which is a space for women, and four staircases leading to the gallery. 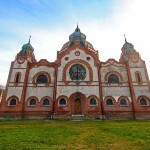 In addressing the facade we can notice three horizontal bands: the first – belt of entrance portals and horizontal apse around them; the second – in which is the pediment with the main stained glass window and in the corners two lower towers; third – the drum of the dome with a double dome. 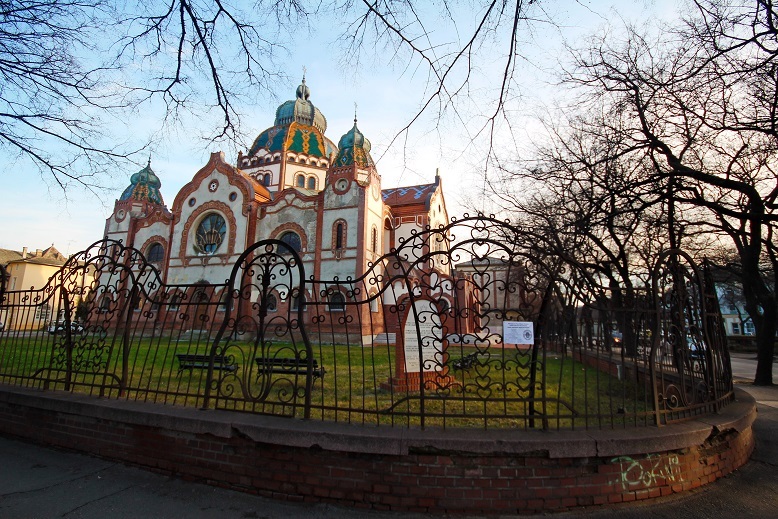 Brick and painted Zsolnay ceramics with ornate decorations based on Hungarian folk motifs was used.